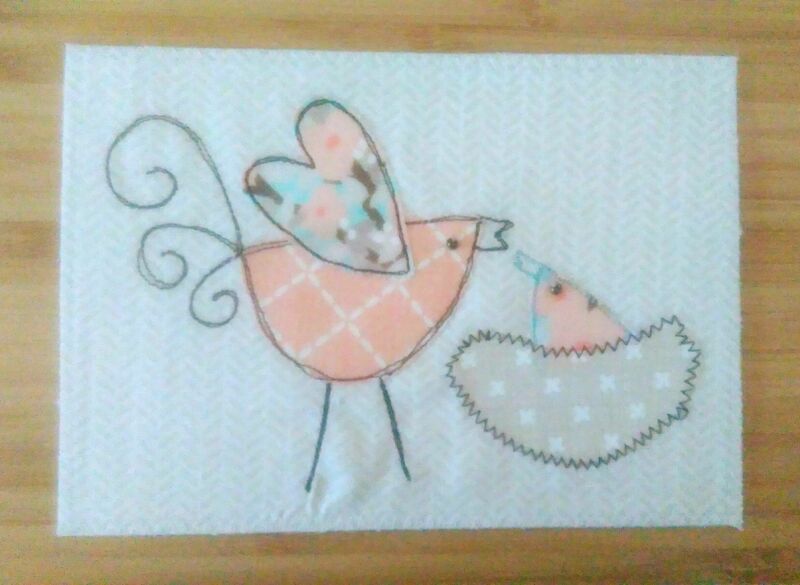 A penfriend had a baby recently, and I wanted to make something to send. As soon as she said the nursery theme was coral, mint and vintage I thought of the Moda Lullaby fabric collection – the right colours and designed to be soft and cute! (It’s not as orange as it looks in some of the photos). I wanted to make something small because I had to post it, and as the name was already decided bunting seemed like a pretty but not too complicated make. The bunting was made from part of a layer cake of fabric and a basic triangle template. 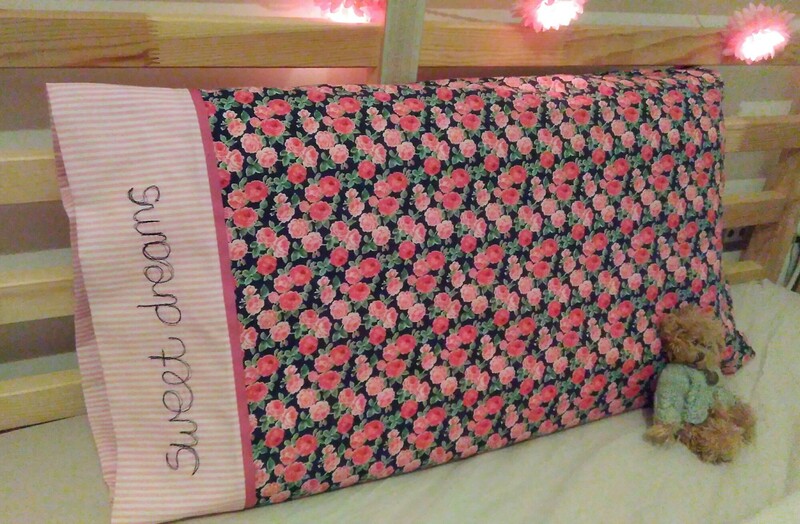 The flowers and letters were attached with Bondaweb and outlined using free motion machine embroidery. The lace, beads, buttons and tops of the flags were hand sewn. I found the hardest stage to be finishing the tops of the flags neatly, there’s a few not so neat corners hidden under the buttons that join the bunting together! 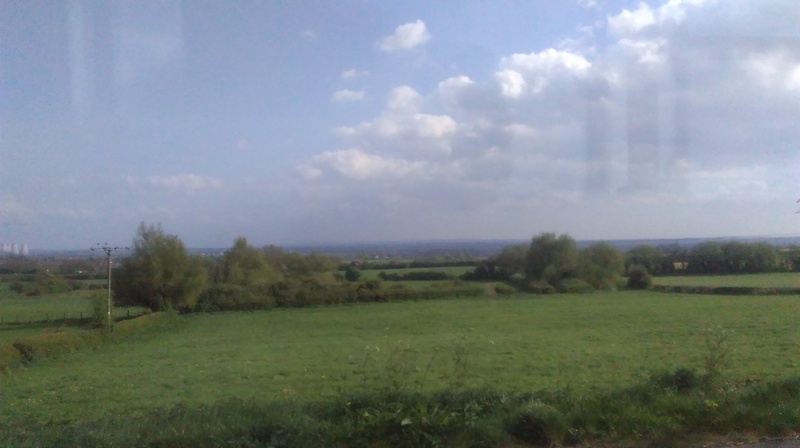 Blog content type 1: random photos of random nice places, such as this view across Derbyshire viewed through the bus window on my way home from Nottingham. 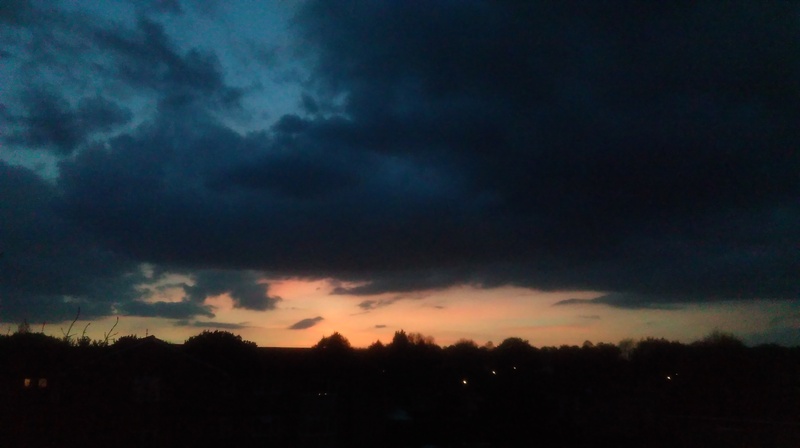 Blog content type 2: post! 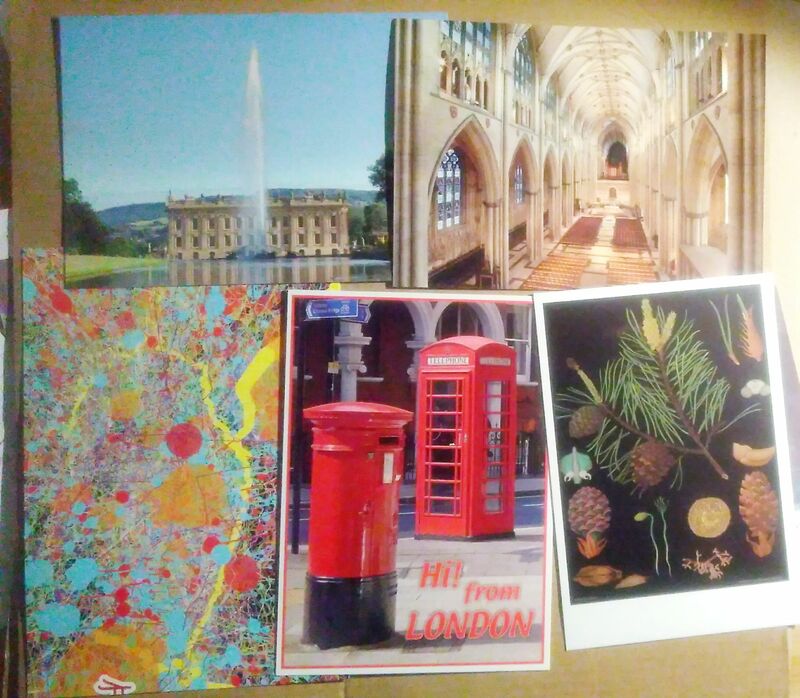 I was in a postcard sending mood yesterday, so I replied to a postcard pal in USA, and sent postcards through Postcrossing and Postcard United to Russia, Sweden, and Japan. I’m missing receiving lots of cards at the moment, but I’m frustratingly at more received than sent on both sites, don’t like it when that happens. The bottom right card is an image of a fruit fly nervous system, they wanted to receive weird cards! 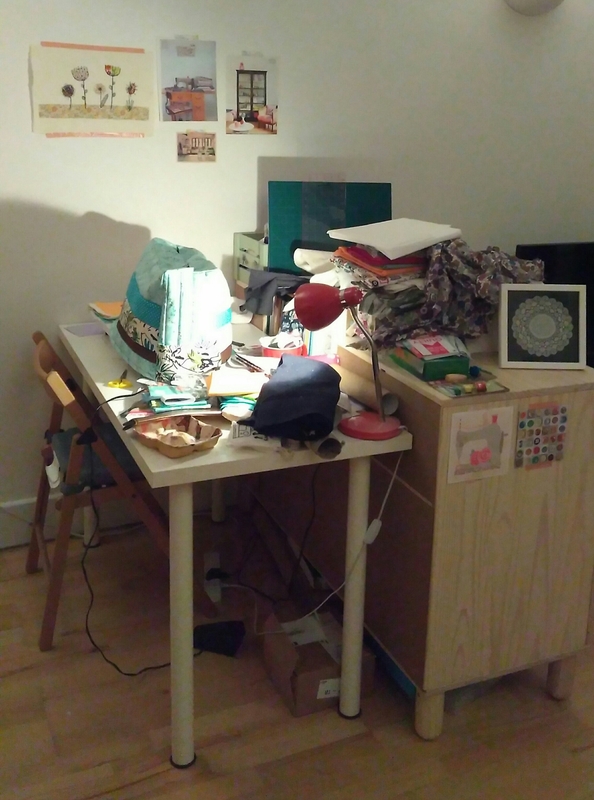 I’m doing my second ever sewing swap on Swap-bot! 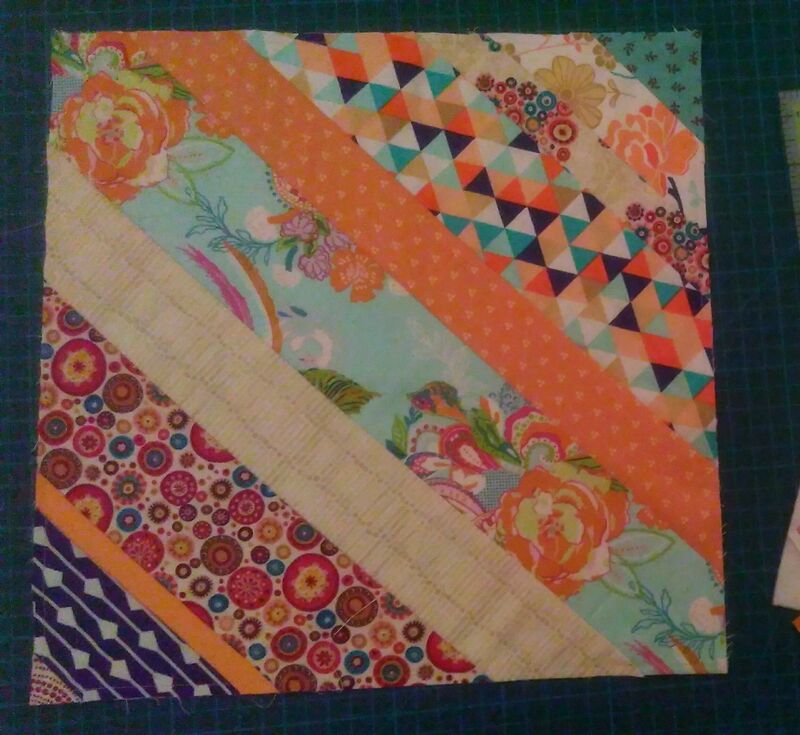 It’s for a striped quilt-as-you-go block, so fabric sewn directly onto the backing fabric/ batting which I can see would be a really quick construction method. The requirements were that it’s constructed on a thin backing (I used a white cotton) so it can be sent as a letter, and to use at least 6 fabrics. I haven’t done a block like this before and underestimated the size and amount of fabric needed so my block uses 11 fabrics all drawn from my stash. 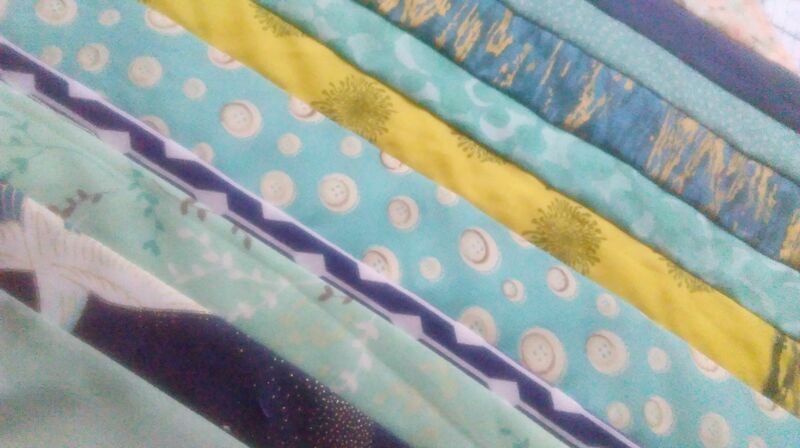 My swap partner likes bright fabrics and I have plenty of those! The idea of the swap is that it will be held approximately monthly to slowly create a full quilt. 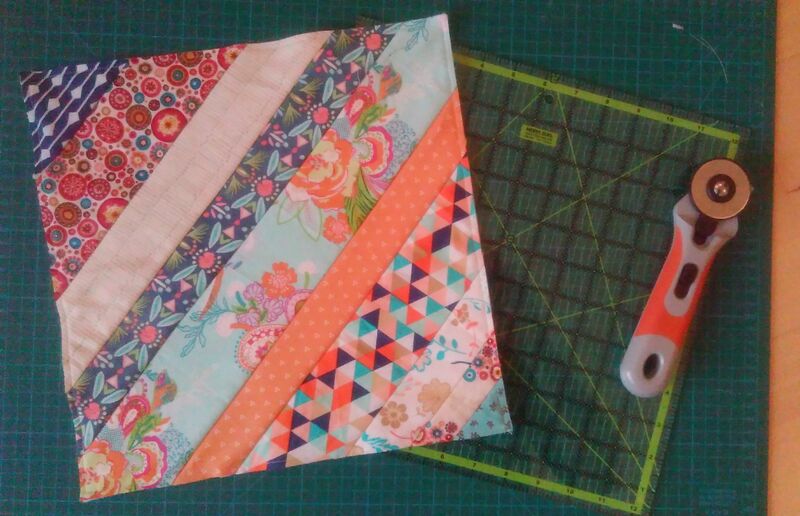 My plan is to make myself a matching block every month to remember what I’ve done and build a quilt more quickly. 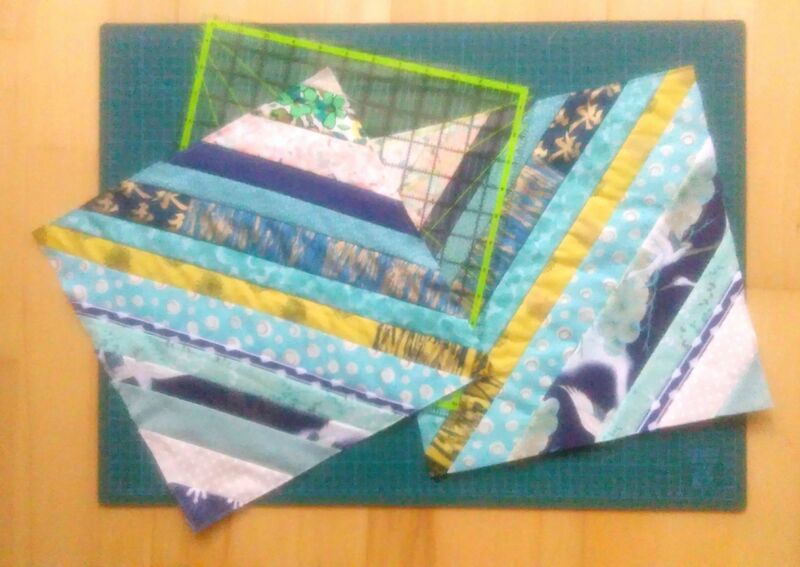 I like being able to spot bits of other projects in this block – my first quilt and several different gifts I’ve made in the last couple of years. I printed a copy of the best photo and traced off the main features. 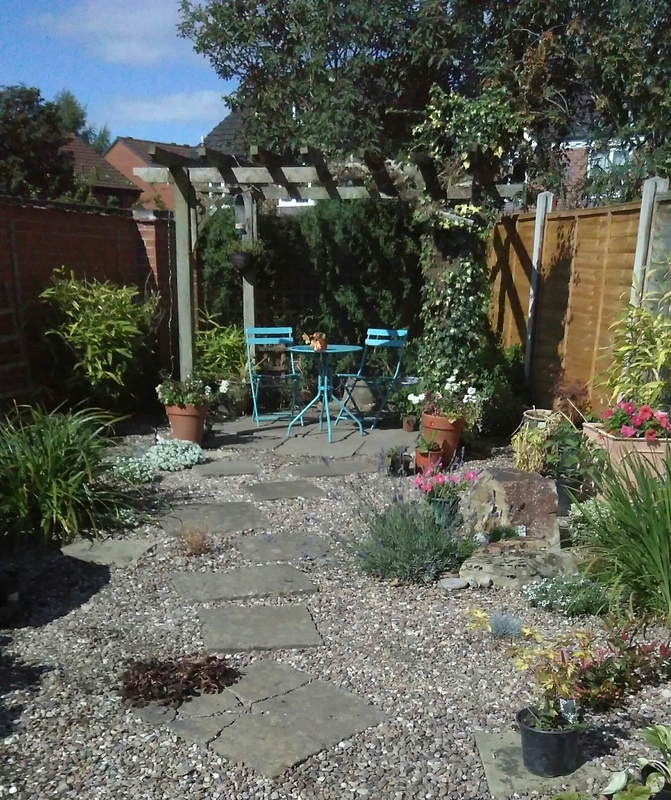 I then got out all my scraps of fabric and tried to recreate the garden photo using freehand machine embroidery. I think it looks pretty good! 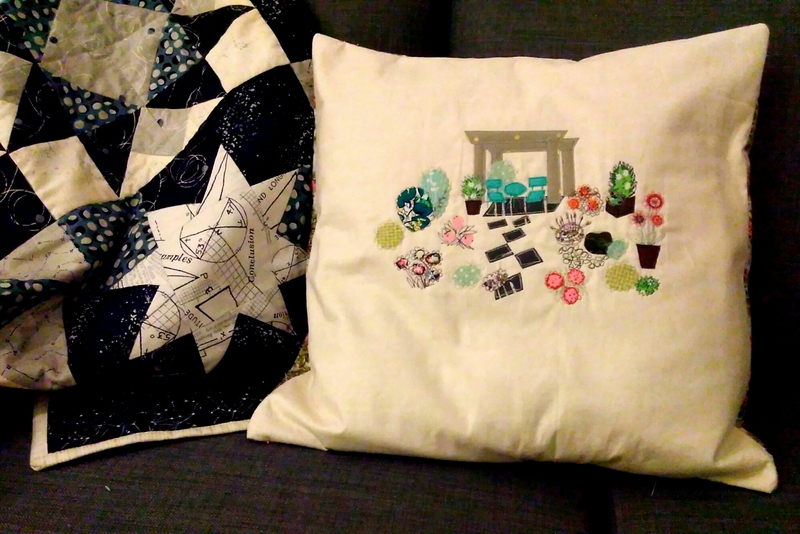 Here’s a bad photo of it on my sofa just before I wrapped it for Christmas. Also featuring a corner of my first quilt which hasn’t made it on to the blog yet 🙂 I didn’t take a back picture but the fabric is pink flowers in pots to match the garden theme. Last week I bought a new Kindle, tomorrow I’m going to the Postcrossing meet-up in London which is 1 1/2 hours by train each way. 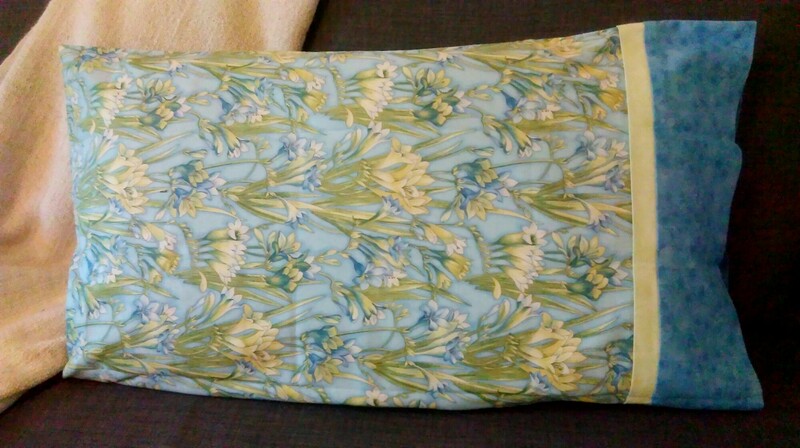 Being slightly precious of my lovely shiny new toy I decided that to take the Kindle with me a case is required. 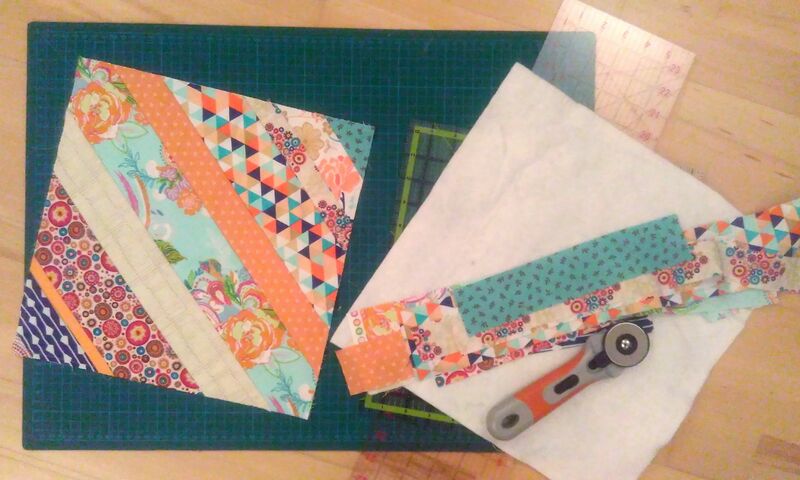 Today I went to the quilt shop and purchased a stack of fat quarters for small projects, so this evening I started creating! 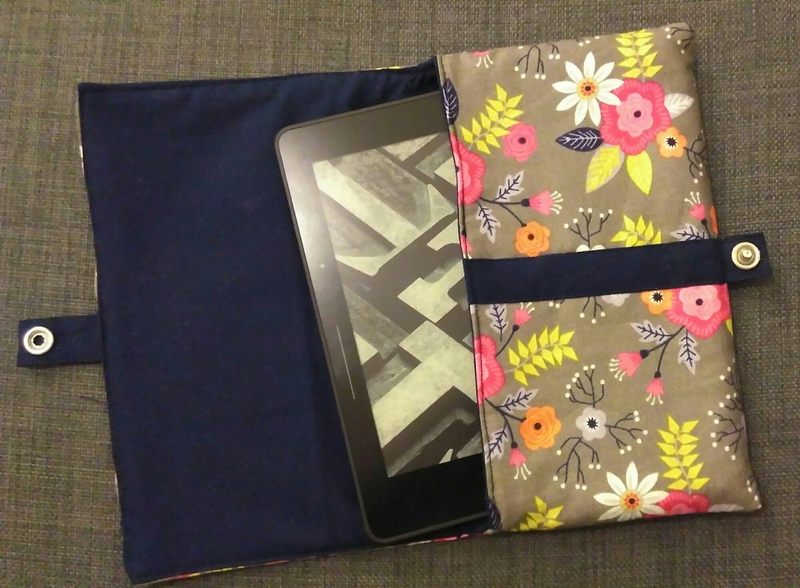 There were a few thoughts that influenced the design – 1) a wrap around cover provides an extra layer of protection, 2) I didn’t want to have to press poppers against the Kindle (and I love poppers much more than buttons! ), and 3) I wasn’t sure if I’d get poppers through the wadding I’ve used to pad the case, so the fastening is at the side on a binding strip. 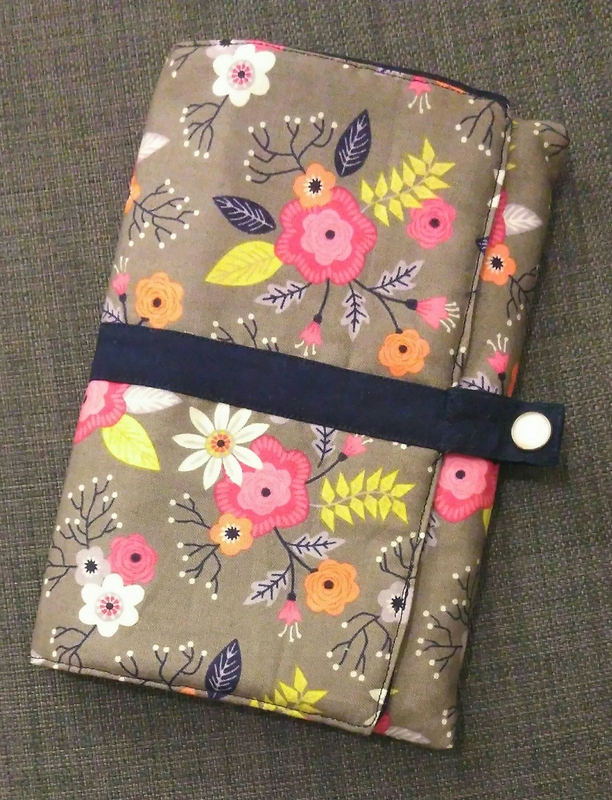 I used my new binding creator to make binding that matches the patterned fabric and the lining. 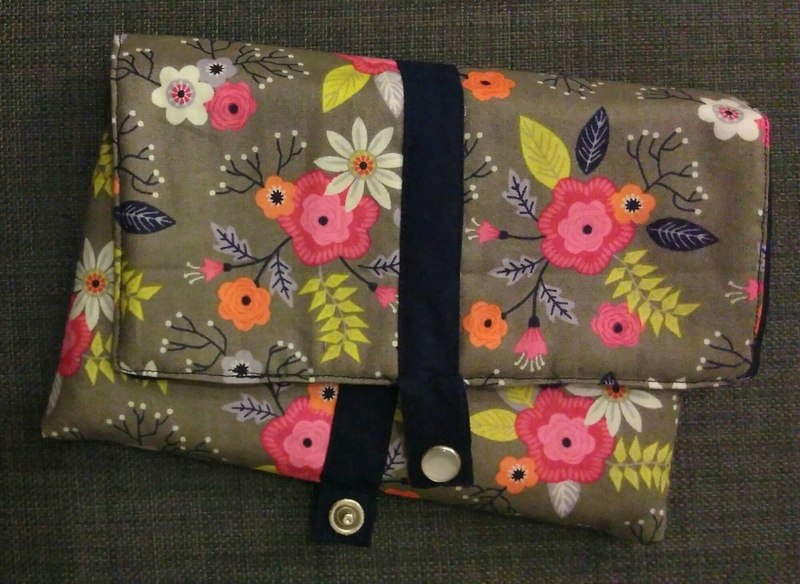 Once I figured out where the fold to form the pouch would be I sewed the binding to the outer layer with a flap sticking out to hold the bottom half of the popper. The top half is attached to binding that continues from the edge of the wrap-around. 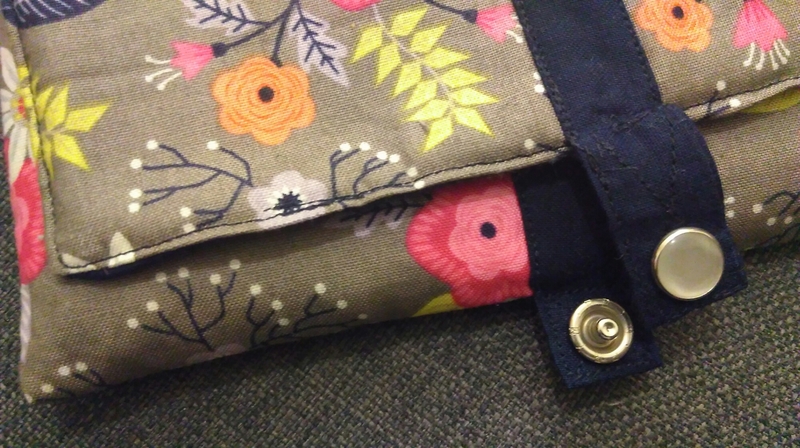 I found top stitching around the opening difficult, it’s a sharp change in direction onto the pouch section. The outside edge isn’t the neatest either, it’s the seam I had to keep open to turn it all right way out. I’m sure a bit more time and patience would have helped! But at least it’s finished ready for tomorrow, I just need to get everything else sorted now!